Mass rally marking 'catastrophe' of Israel's existence and survival in spite of Arab attacks held for first time at Al-Qassam Brigades base. The "refugee" department of the Hamas terrorist movement will on Tuesday at 5 p.m. hold a massive rally marking 67 years to the "Nakba" - the "catastrophe" of the establishment of modern Israel, and the inability of the Arab countries to destroy the fledgling renascent Jewish state. The massive rally is to be held at the "Palestine" terrorist training site located in Beit Lahiya adjacent to the border between Gaza and Israel in the northern part of Gaza. Abdallah Hasuna, director of the "refugee" department which is tasked with handling descendants of the Arab residents of Israel who left during the 1948 War of Independence, noted this would be the first time a massive event was held at a base associated with Hamas's "military wing," the Al-Qassam Brigades. Hasuna said by holding the mass rally at the terrorist base there was a message emphasizing the path of the "struggle of the Palestinian people." "The popular support for the struggle will continue to be the backing for it until all of our occupied lands are liberated," he stated. The "Nakba" event is to be managed by Fathi Hamad, a senior member of the Hamas movement who served as interior minister in the Hamas government, and who during his term in office was responsible for the Hamas security forces including the Al-Qassam Brigades. 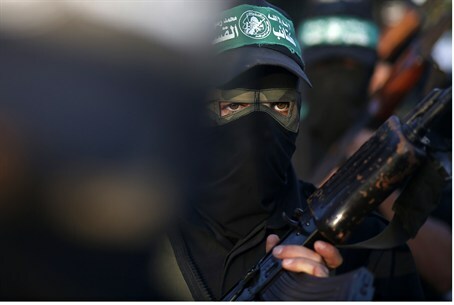 Senior Hamas officials are to take part in the event, and it is likewise to include a military parade by the Al-Qassam Brigades. Telescopes are to be set up for those present to see "the lands occupied since 1948." The Hamas terrorist organization aren't the only ones marking the "Nakba" - during Israeli Independence Day last month, thousands of Arab citizens of Israel mourned the "Nakba" in the Galilee, mourning the establishment of the state they are citizens of.